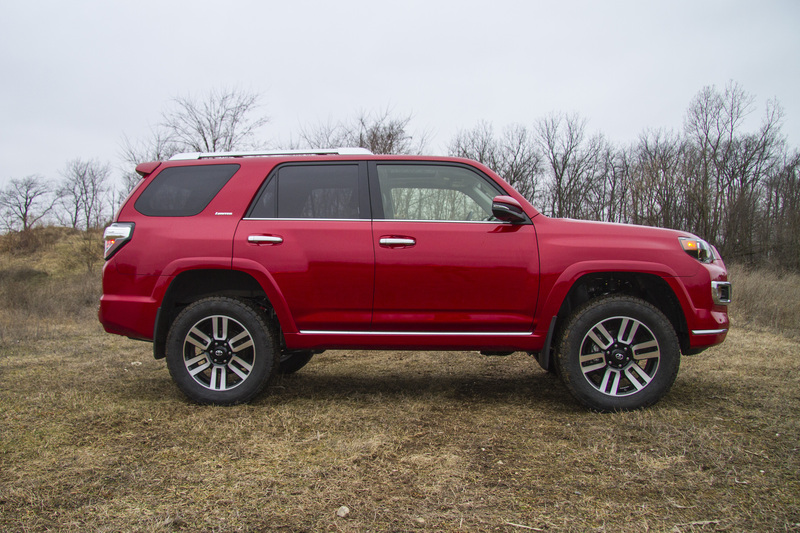 BDS expands further into the Toyota SUV market with 3" suspension lifts for the 2010-2016 Toyota 4Runner 4WD. These kits are a crossover from current FJ Cruiser applications, now approved for use on the late model 4Runner. 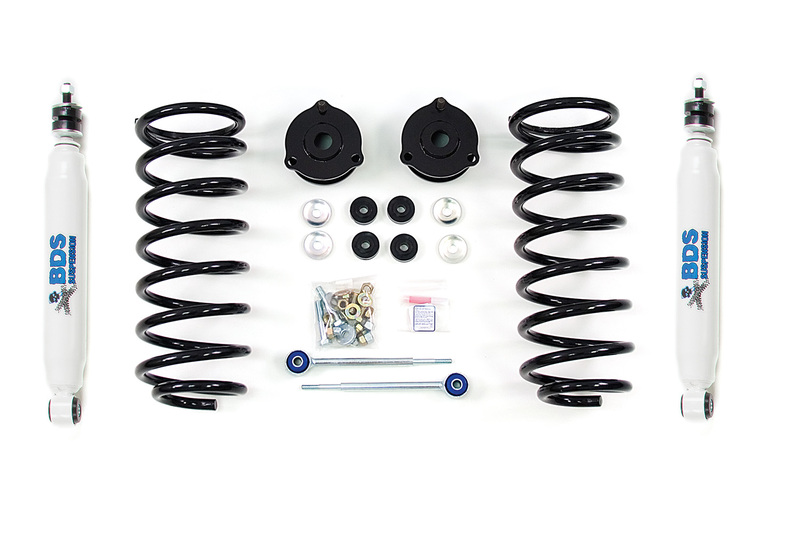 These kits use a strut/preload spacer up front and in the rear replacement coils, sway bar links and shocks to all clearance for up to 285/70r17 (or comparable) tires. 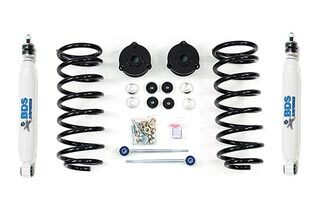 Improve the look and performance of your 4Runner with BDS Suspension. Front uses top strut spacer plus preload spacer to keep from maxing out ball joints during droop travel. 4Runner 3" Lift Kits: The newest addition to the BDS lineup is 3" suspension lift kits for the 2010-2016 Toyota 4Runner 4WD. 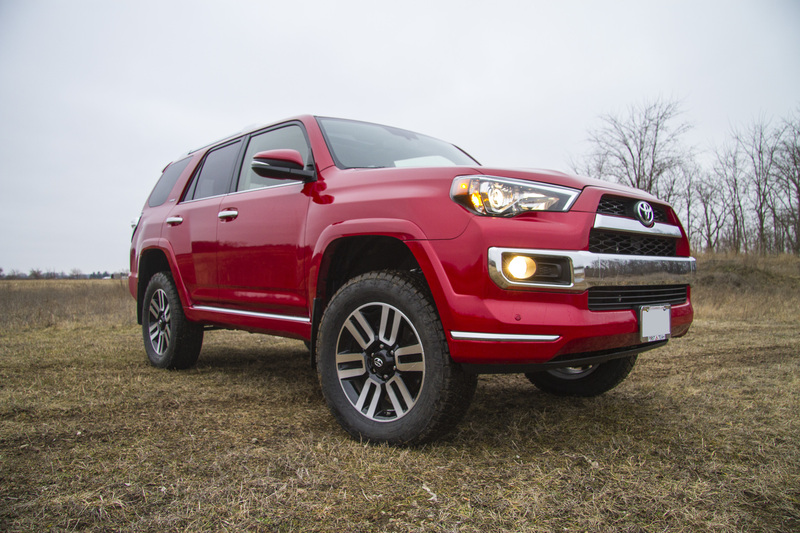 These new kits improve the look and performance of late model 4Runner with clearance for up to 285/70r17 tires. Based on the current FJ Cruiser systems, this new fitment is up to whatever use and abuse you can throw at it. Up front the system uses a combination top mounted strut spacer along with a preload spacer to lift the vehicle and retain the factory geometry. This setup allows the suspension to operate smoothly without forcing upper ball joints to max out at full droop causing premature wear, a common issue with other 3" kits that just use spacer to provide lift. Will this kit work with the xreas?